In this short book, based on email course of the same name we’ll teach you the basics of responsive web design: a practical, proven way to design sites that’ll look great on all screens and devices, via a practical project: designing a newsletter opt-in screen using the macOS tool InVision Studio. 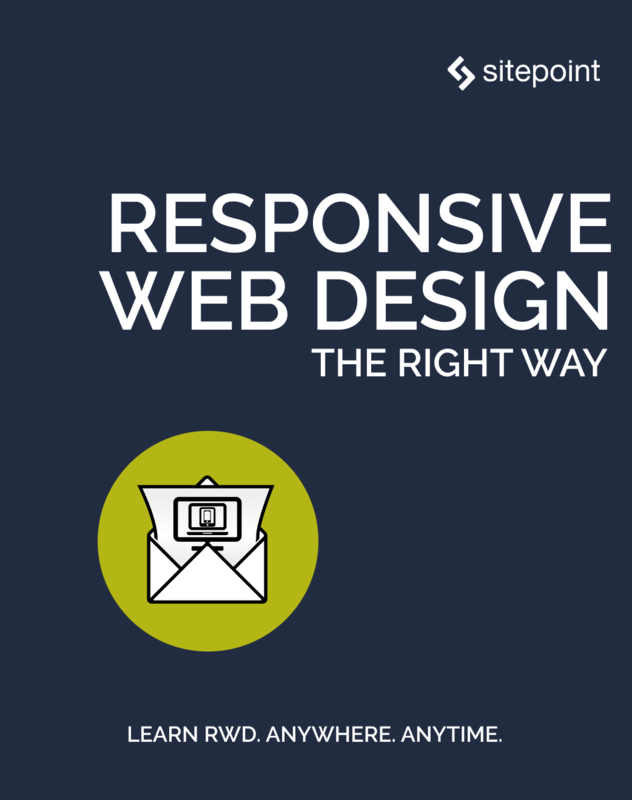 Learn the principles and advantages of designing responsively. Learn about lo-fi mockups, allowing you to come up with a design concept quickly and easily. Use self-testing and device preview to review your ideas and iterate on them to get one that works best. Design for the smallest mobile device and the widest screen, and have your project look perfect on everything in-between. With a SitePoint Account you can access thousands of videos, ebooks, and courses. New to SitePoint? Create an account!